Traffic makes a blog thrive; without it, a blog can’t build an email list or generate ad revenue. Low traffic numbers mean a lot of time and money were wasted on content generation when it could be a valuable money-making tool. To maximize your blogging results relative to energy invested, check in with Google Search Console on a regular basis. 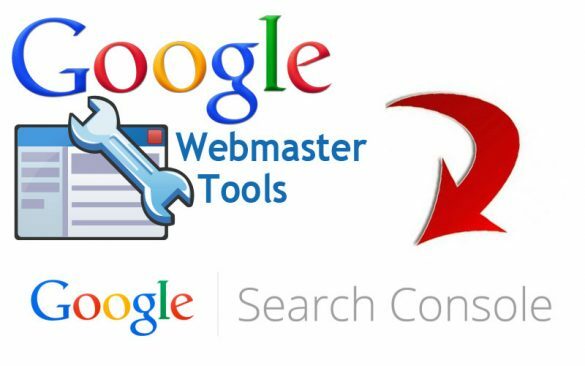 Search Console is a free tool for webmasters to determine the health of their website or blog. It allows bloggers to monitor their site performance in the Google search engine and identify issues that hinder performance. In short, Search Console shows you what is working for your site, and what could be improved. It also provides some big hints about where you can focus your efforts to maximize your search engine results. You’ll need a Google account. It should be different than your personal account. If you already have a Google Analytics account or Google Adwords account then use the same Google account. You’ll need access to your site to verify ownership of your site. Here are a few ways Search Console can help you dominate your niche. Find the “Search Traffic” menu on the right side, and select “Search Analytics”. A graph will appear showing you how many organic clicks you received over the past 28 days (you can edit the date range). Above the graph, select “Impressions”, CTR, and “Position”. Now you’ll see the “Queries” that brought visitors to your site, and the number of clicks that query received along with your relative ranking. Sort the Queries by “Position” and look at all the queries you have that have a ‘top 10’ position. These are the terms that Google thinks are applicable to your business and can rank on the 1st page of Google. Look for terms that would appeal to your readers and have a modest number of impressions. These are great terms for you to focus on. One easy way to use this information is to optimize your existing pages. Since Google is already ranking you well for a term, it may pay to optimize your page for that keyword. Anchor text refers to the text used in a link that directs someone to a page other than the one the reader is currently on. In this sentence, the anchor text is directing the reader to an article that has more information about “anchor text”. When Google indexes links, it looks at the anchor text and associates it to the content on the page. If you have a site that is about an ERP company in Singapore, then you could use ERP-related phrases as anchor text to show Google that your site is related to ERP software . Search Queries are a great place to find effective anchor text for your backlinks. Google already associates your page with that keyword, so a helpful reminder may strengthen your positioning for that keyword phrase. WARNING: Google does NOT like over optimized anchor text. Avoid using the same anchor text multiple times and use highly specific anchor text sparingly. Visit this article for anchor text distribution ideas. Next, click on the “Impressions” column header. This will give you an idea of the number of searches each term is receiving. If you aren’t ranked well for a query you may receive few or no actual clicks. But this information is key to knowing what your potential readers are exploring with the most frequency. Look for queries that have a high number of impressions and would be especially interesting topics for your target readers. These queries are topics that you may want to focus on in a unique blog post. Knowing what people want to read, and giving them that information is an easy way to pump up your readership numbers. On the top menu, change the filter from ‘Queries’ to ‘Pages’. This will show you the main pages on your site and how much search traffic they are receiving respectively. Knowing which pages on your site are getting the most (and least) amount of search traffic may provide you with insights about what your readership is most interested in. Consider updating your most popular pages by adding new content to keep them relevant – Google seems to like updated content. You can also sort your Pages tab by Impressions. This will give you an idea of how much opportunity there is to gain search traffic for each of your pages. Knowing where the biggest opportunities lie is a big help in expanding your readership. Your blog probably has some ‘core’ content that is meant to drive your website or blog objectives. With the ‘Pages’ button enabled, sort your pages by ‘Clicks’. Are you getting as many clicks as you would like for your ‘core’ pages? Unfortunately, all too often the answer is “nope”. In Search Console go to the ‘Search Traffic’ menu on the right side of the page. Select the ‘Links to Your Site’ option. On the right side of the page, Google will show ‘Your Most Linked Content’. Click on the “More” text for an expanded view. The expanded view will show you how many unique domains (Source Domains) have created a link to your website. If the content you most wish to promote doesn’t have a robust backlink profile then you may want to try to earn some new, high quality, backlinks for those pages. These new backlinks will indicate to Google that your content is still relevant and of interest to people in your niche. Accordingly, Google may increase your overall search rankings for that page. As you can see, Google Search Console is a great tool for solving issues that can affect your blog traffic. The key is to do things that can increase your blog’s organic ranking so that more people can discover it. Keep your content fresh and updated, nail down your best query terms, focus your anchor terms (with restraint!!! ), find topics of interest to your readers, and sculpt your backlink profile. Doing these things can have a significant impact on the overall performance of your blog and what you want it to accomplish. This post was written by Matthew Murray, Managing Director of Notable, a business solutions firm based in Singapore. Notable helps B2B companies incorporate in Singapore and matches them with clients looking for their services. As web developer or blog admin, we encourage to use Google Console in starting way to make our blog can be indexed quickly. One things to be considered is to submit Sitemap although it’s not predictable how fast our sitemaps will be indexed. In several cases, a new articles indexed faster than an old ones.